Having recently earned our Mark of Excellence with his LiveLoveA$AP release -- a record that also made it onto our best hip-hop albums of 2011 and scored the top spot on our newly published best rap mixtapes list -- Harlem sensation A$AP Rocky has had one hell of a great year. His run of success will continue in 2012 as he prepares his new album and gets ready to hit the road with a North American tour. The bulk of the dates find him sharing the bill with Drake and Kendrick Lamar for what promises to be one stellar-looking hip-hop tour. Sadly this outing won't come to Canada, as all of the dates are south of the border. For shame, Drake. Luckily for us, A$AP Rocky will also be making a brief trip to Canada to give Canada a taste of what we're missing. He'll be playing at Toronto's Mod Club on January 27. This show takes place a couple of weeks before joins up with Drake, so hopefully more shows will be announced in the interim. 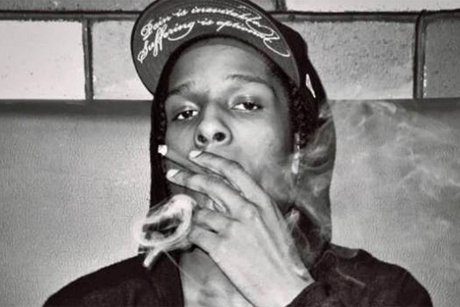 As for that forthcoming A$AP album, it's called LongLiveA$AP and is due to arrive in spring 2012. Read more about it here.